Rent or buy Iron Man 2 here. Robert Downey Jr. reprises his star-making role from the first film, as a charmingly egotistical, but ultimately courageous superhero. The film has a terrific cast, some clever banter, and a handful of genuinely thrilling action sequences, but the story isn’t as focused or compelling as that of the first film. It feels as if the filmmakers are trying too hard to win over the comparatively few fans of the comic books, but in doing so alienate, to an extent, the mainstream audience. 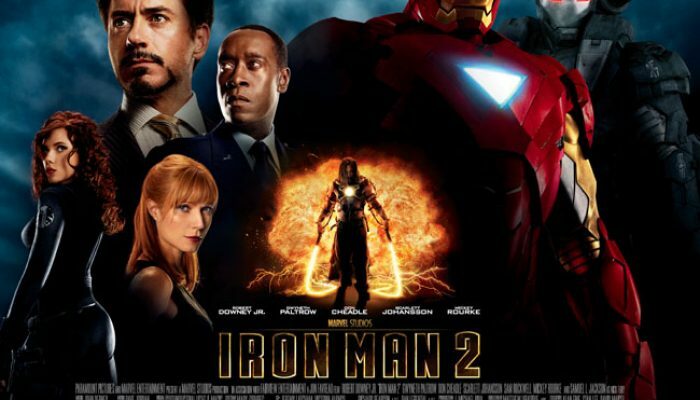 That said, Iron Man 2 works as an exciting summer blockbuster with wit and spectacle, but doesn’t quite measure up to the original. Action violence abounds, and a few innuendos and scantily-clad females pop up as well. Iron Man 2 introduces Black Widow, played by Scarlett Johanssen. One of ScarJo's earliest roles, in the delightfully schlocky B-movie Eight-Legged Freaks, is worth a look. RENT OR BUY IT HERE.